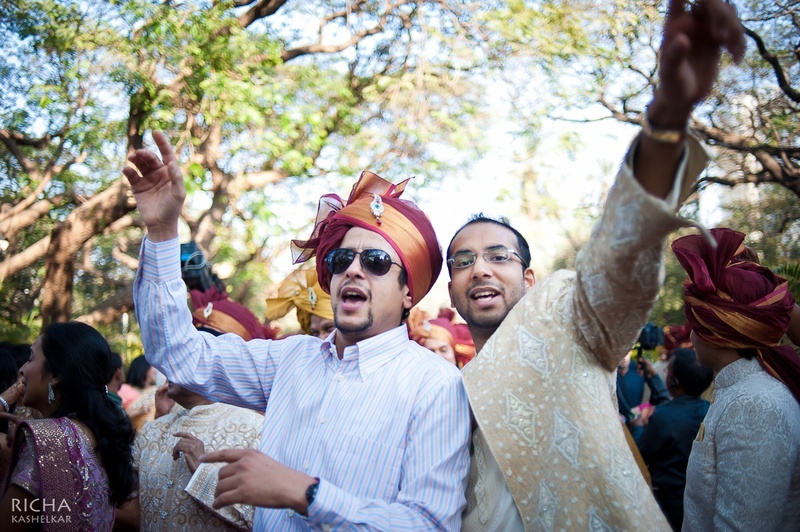 Wedding celebrations began with a bang! 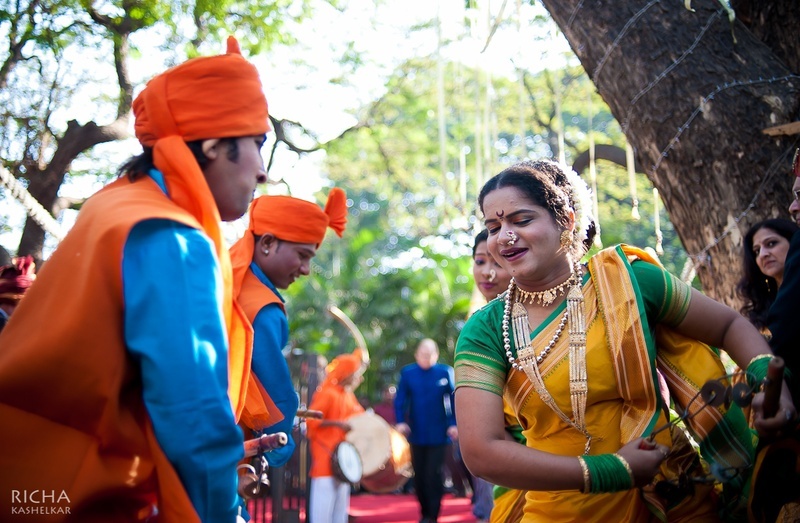 Loud band-baja, energetic lezim dancers along with lively baarati’s dancing to the rhythmic beats of the dhol. 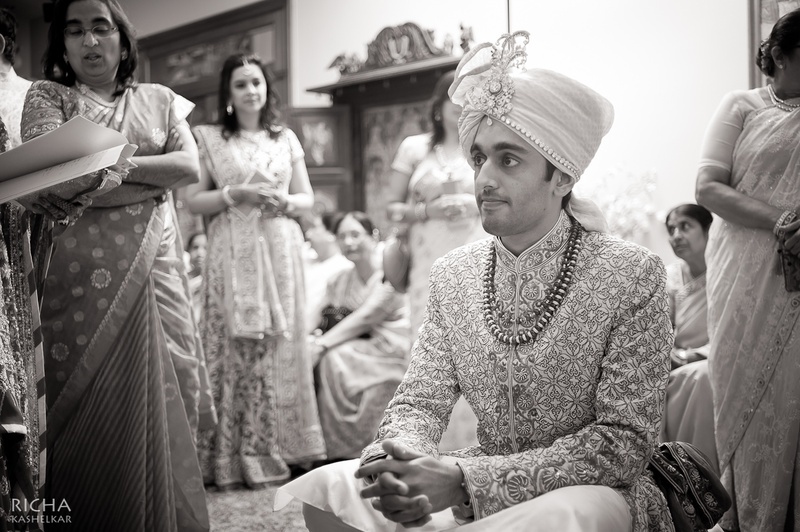 This grand wedding ceremony had heaps of royalty and style in each of its elements. 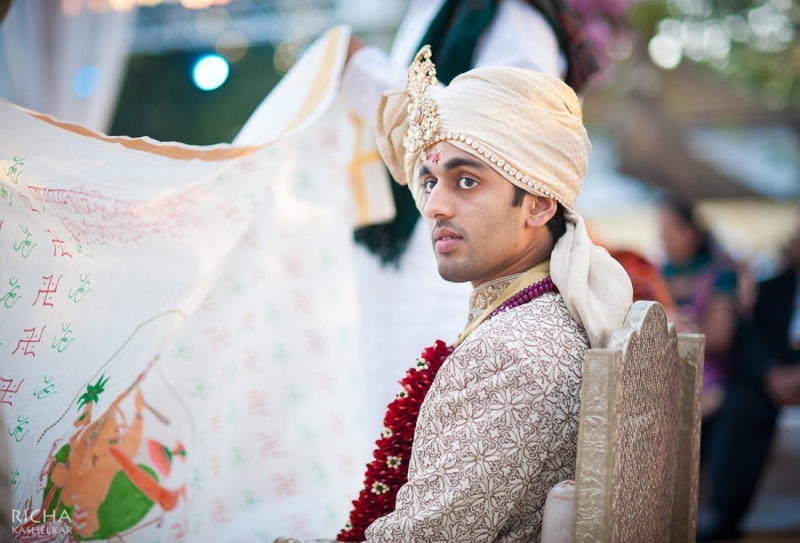 From the bride and grooms ethnic attires right to down to the décor. 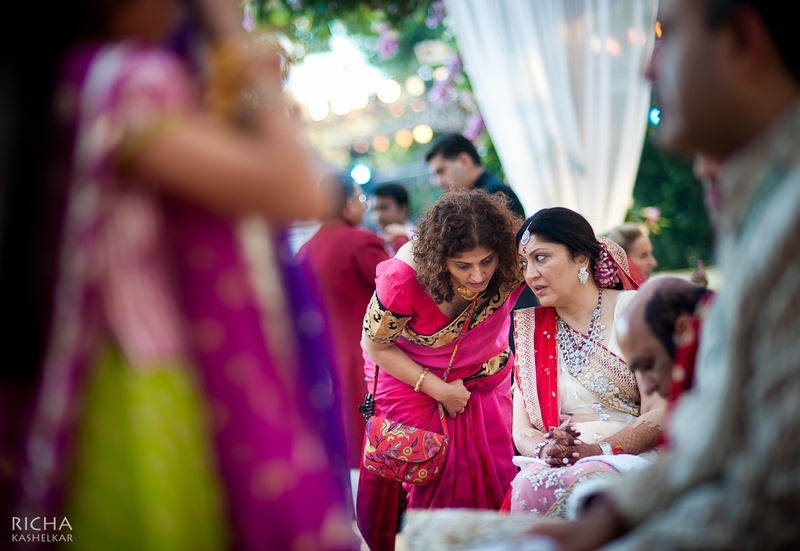 The beautiful bride, Nisha was dressed in a geranium pink lehenga-choli that was intricately embroidered with floral gold threadwork. 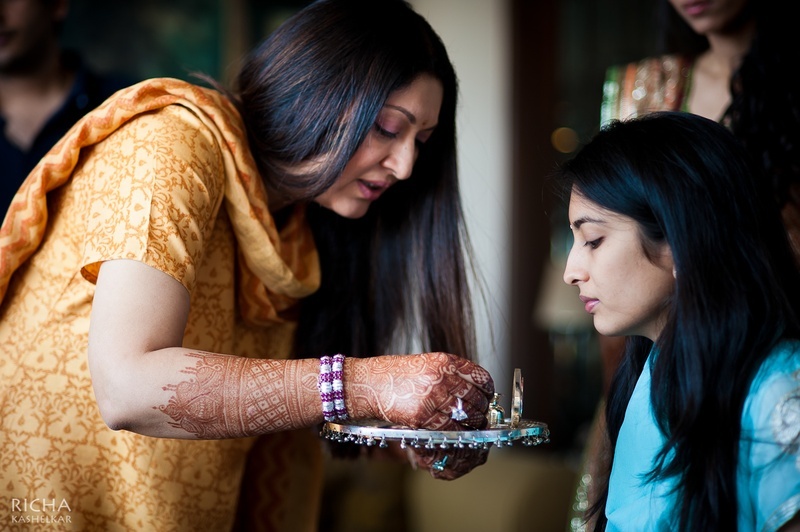 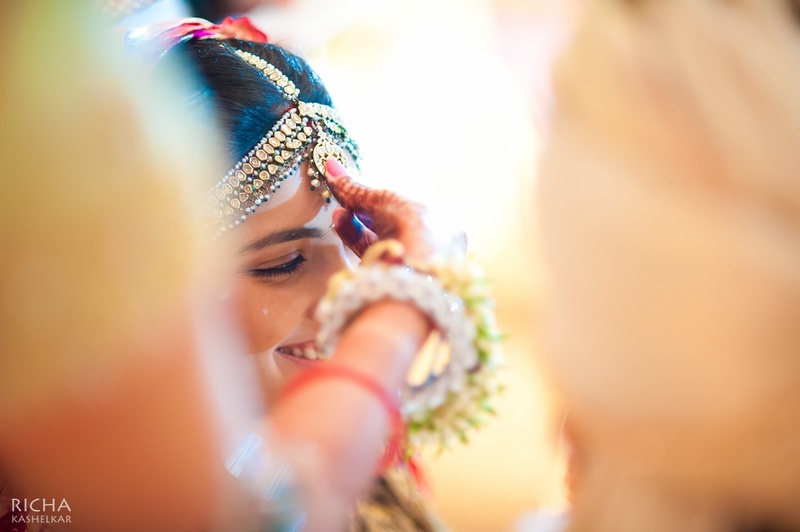 Her bold bridal jewellery left us completely mesmerized! 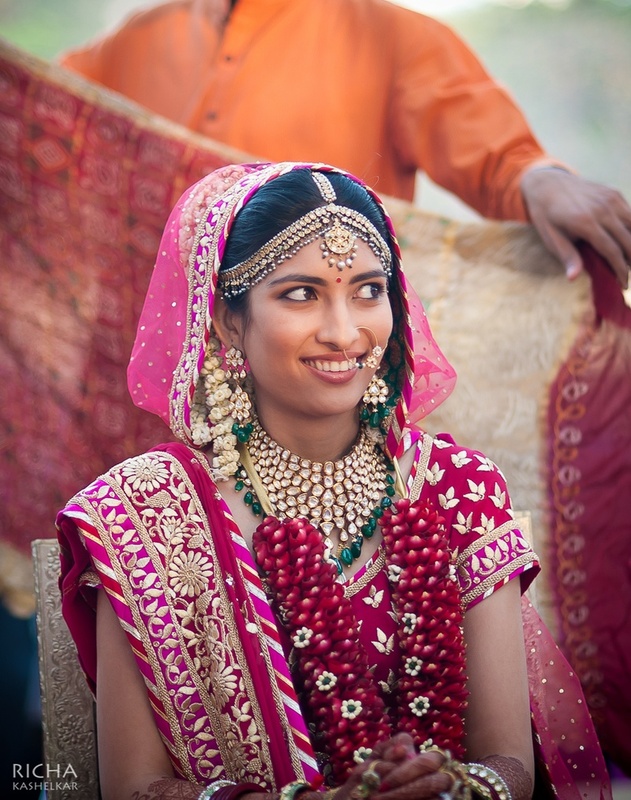 The multi-strand polki choker bordered with emerald green drop beads and matching earrings had Nisha looking like a character straight out of Ashutosh Gowariker’s Jodha Akbar. 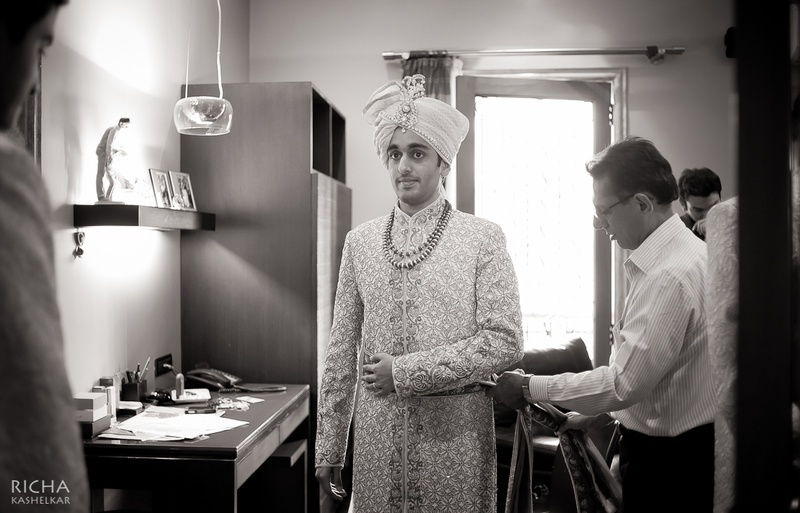 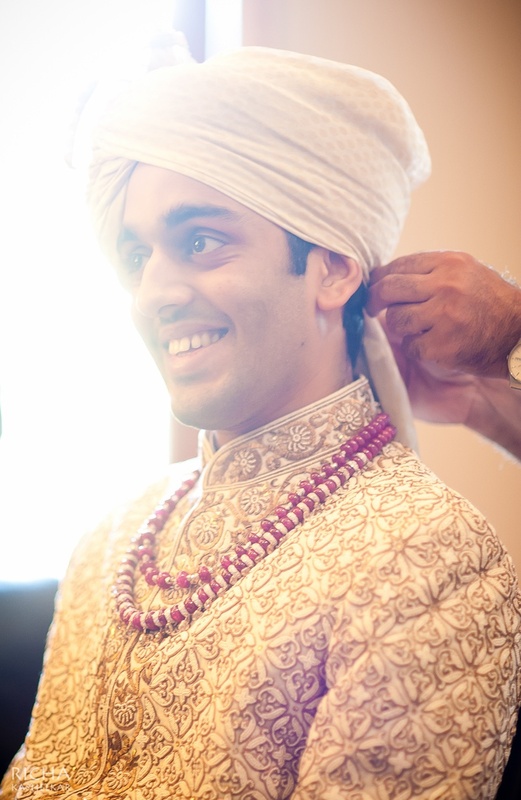 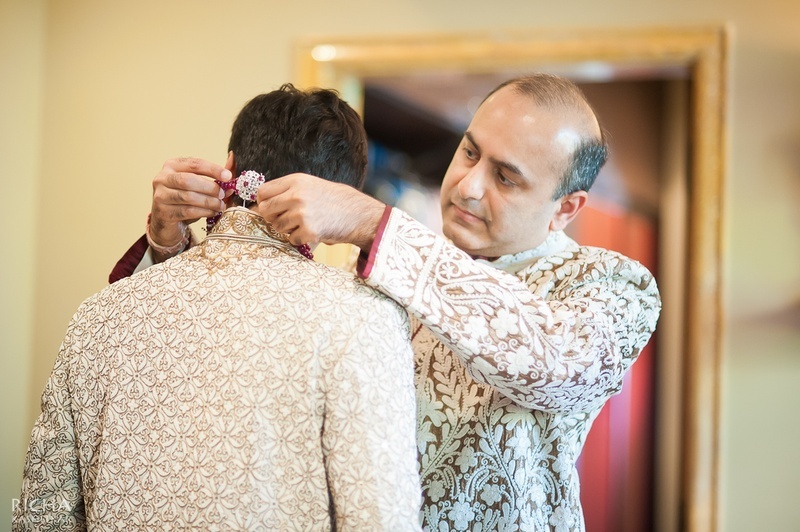 Her handsome groom, Viraj kept up to speed with the royal element in his off-white and gold embossed sherwani and matching safa adorned with a crystal studded kalgi and diamond embellished chain. 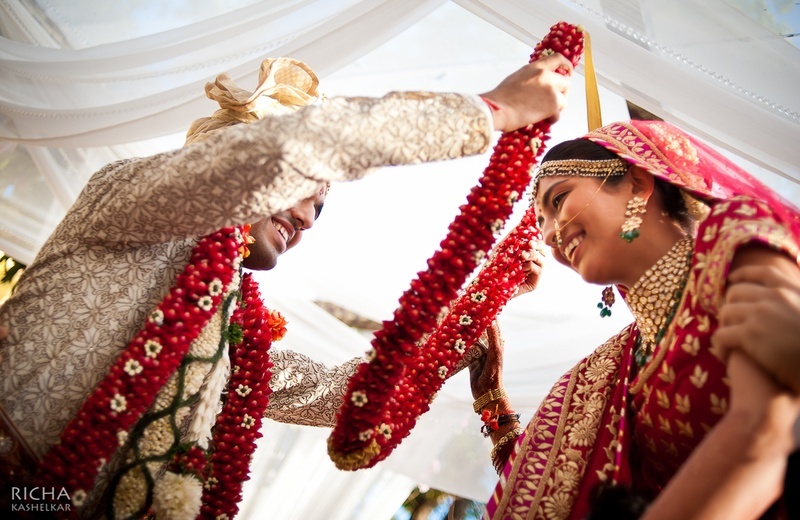 Together, this majestically dressed couple held hands and took their Saat Pheras in an outdoor, wooden framed vedi mandap that was decorated with purple and white flowers and fresh green ferns. 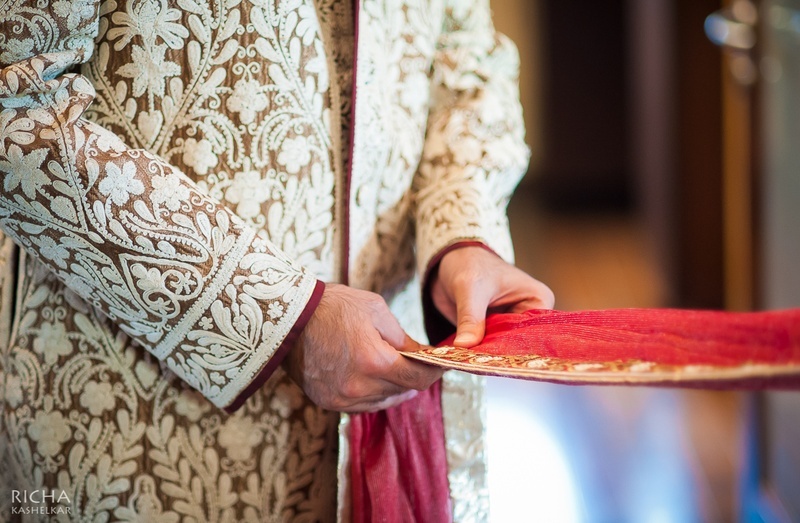 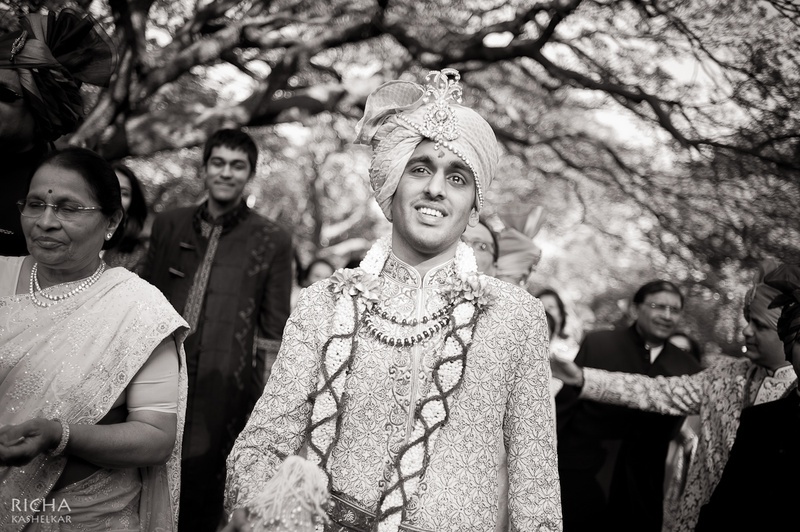 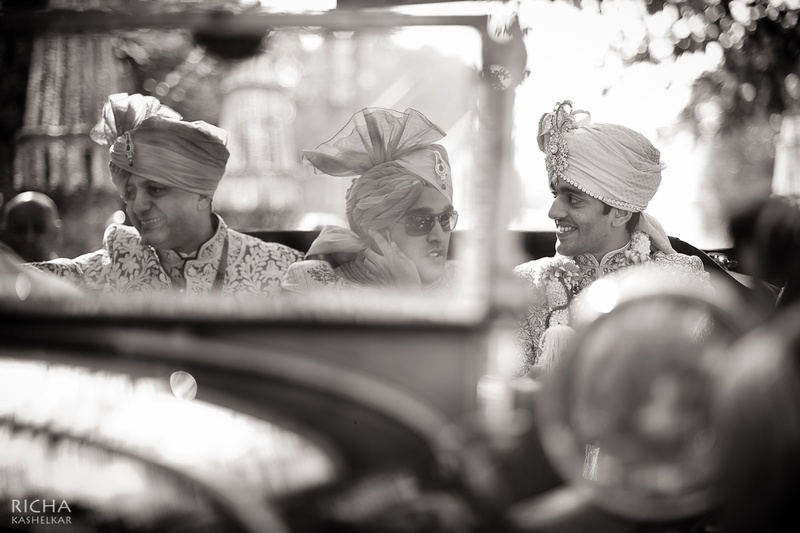 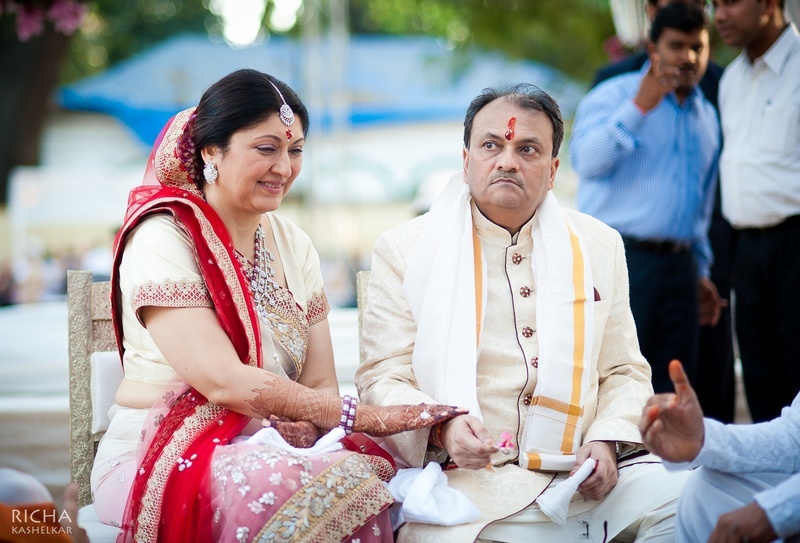 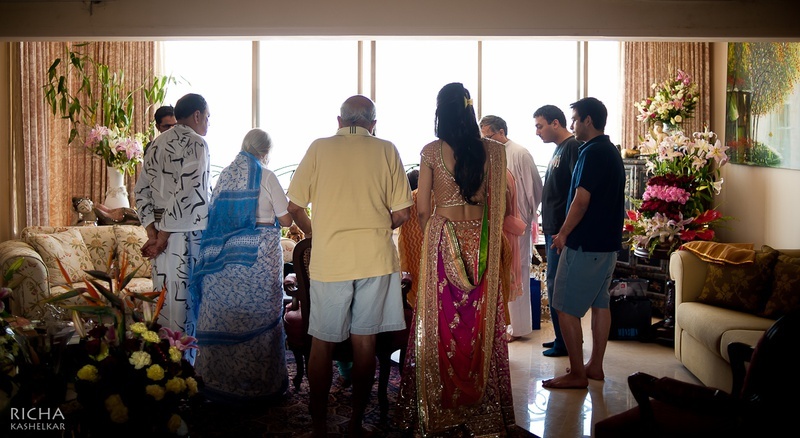 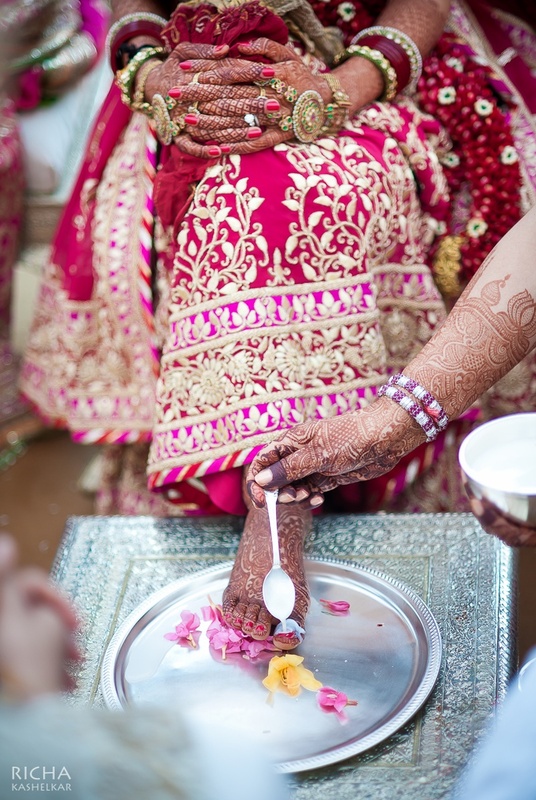 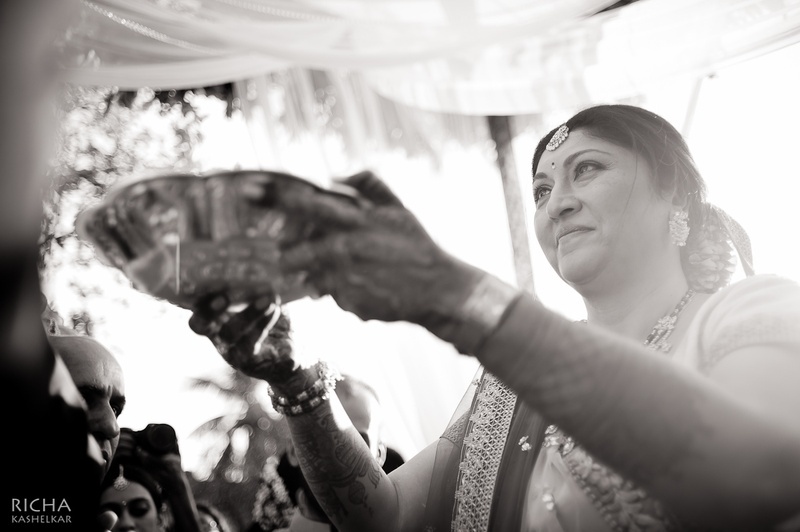 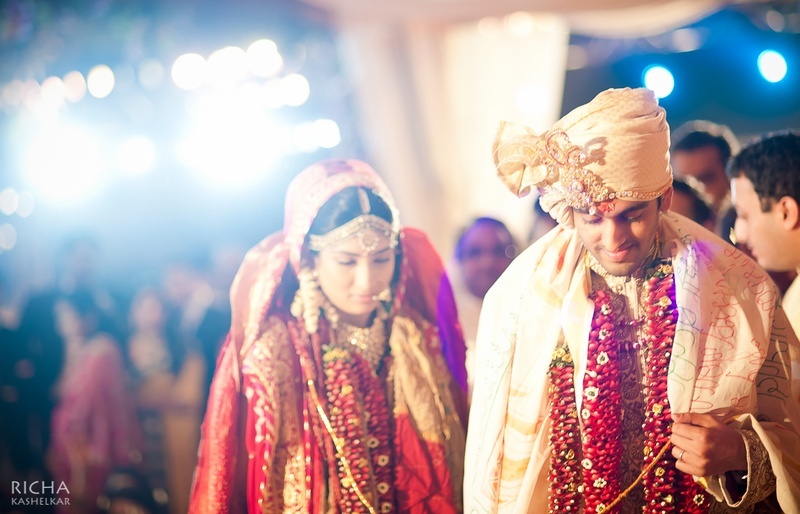 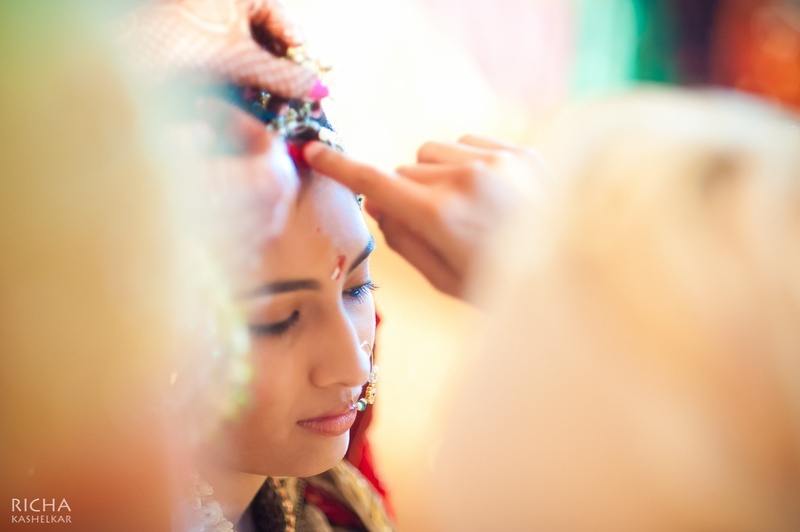 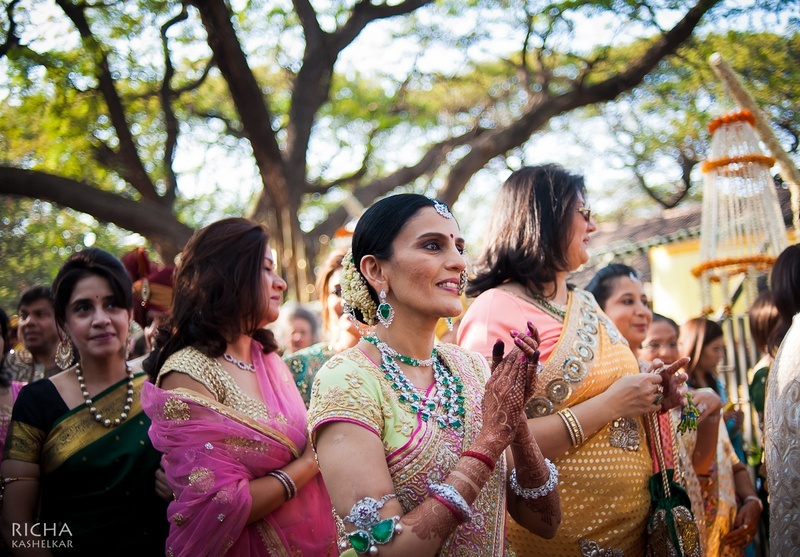 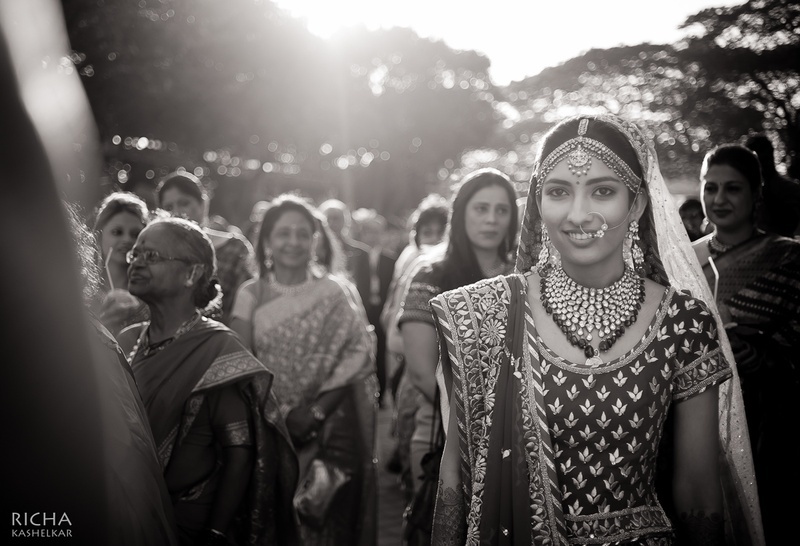 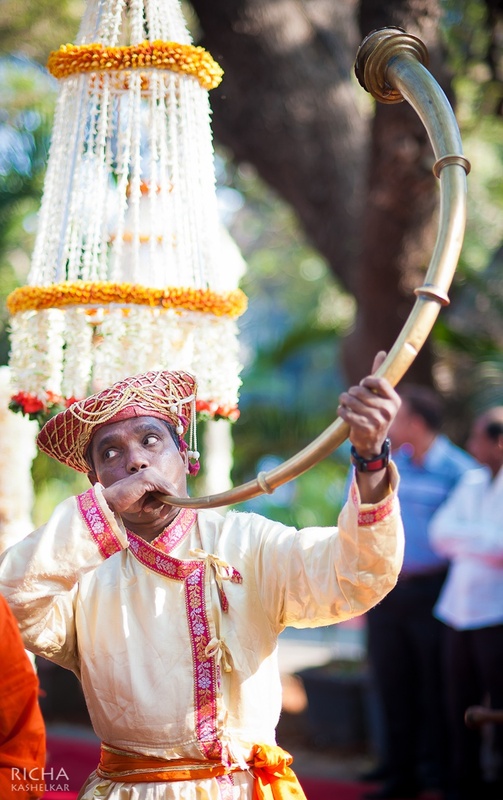 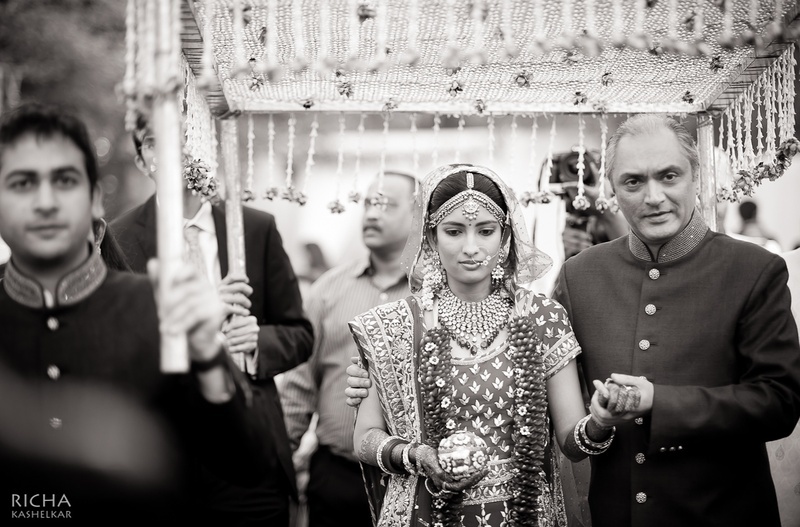 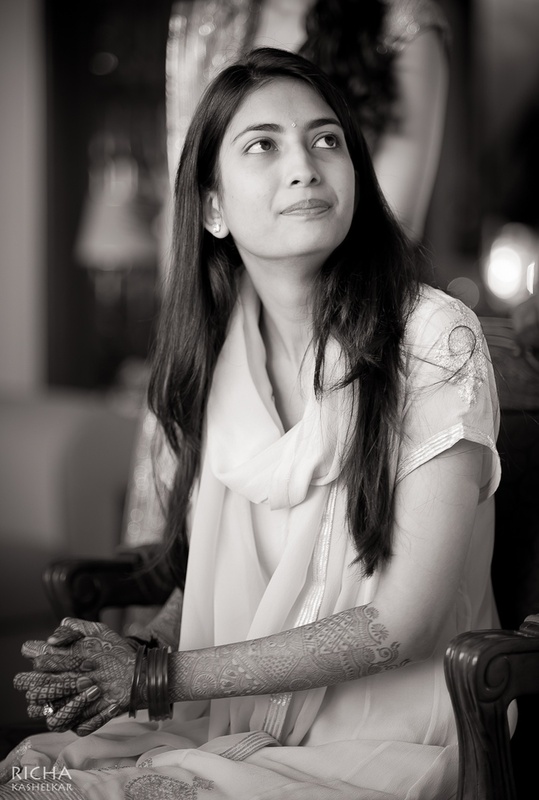 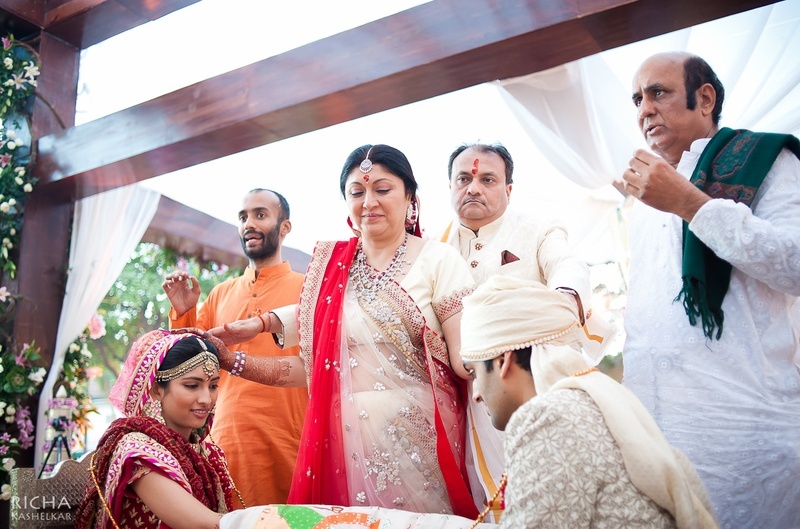 Nisha and Viraj’s union exudes style and tradition with just the right amount of royalty. 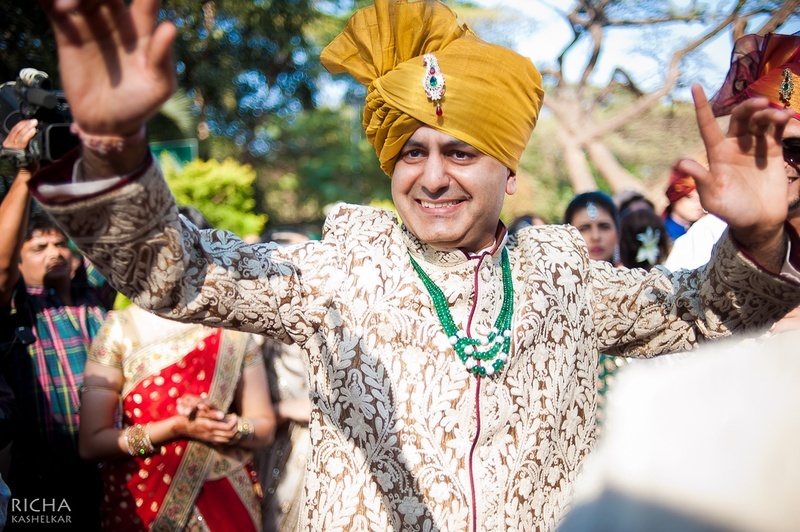 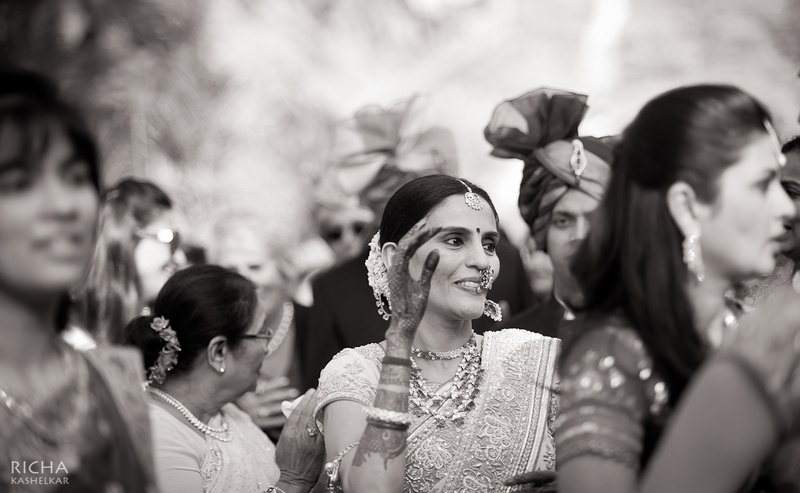 Richa Kashelkar captured every moment from this wedding ceremony just perfectly - the hugs, the smiles and the love! 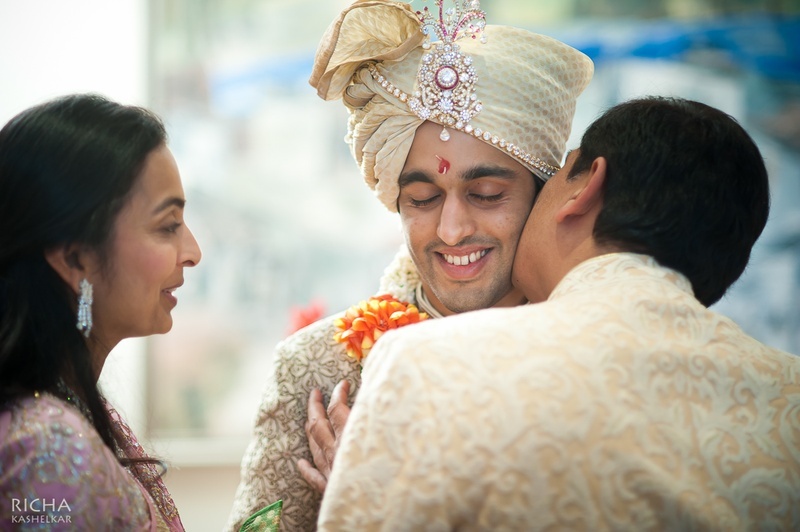 Every picture taken perfectly captured every emotion felt. 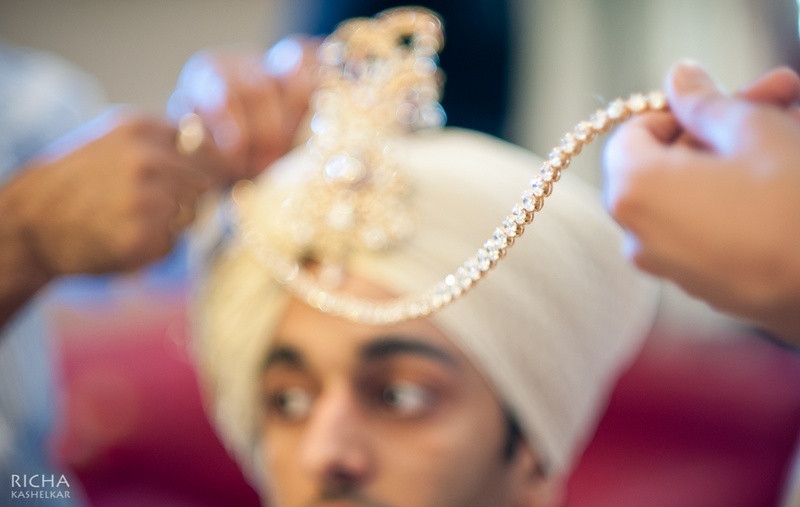 Take a look at a few stunning images right here!